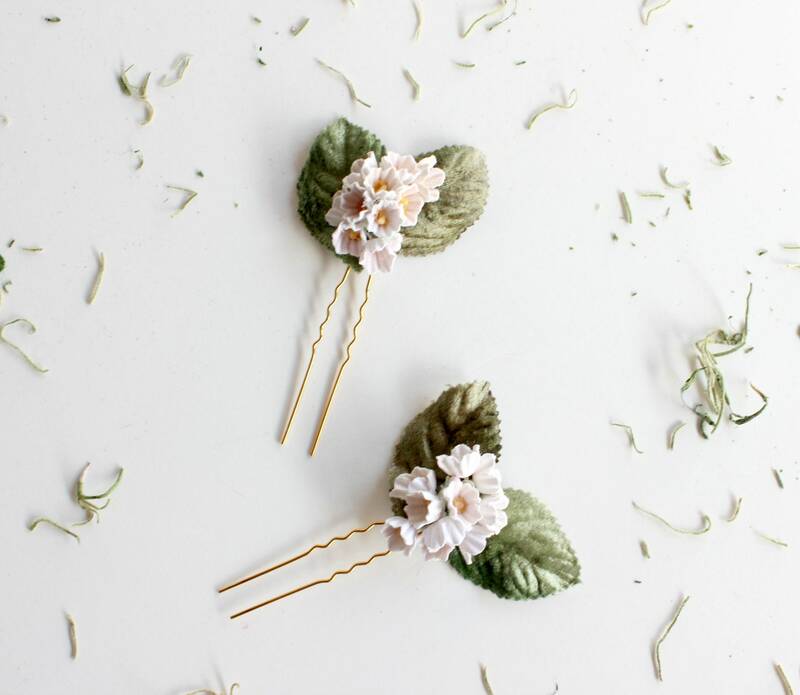 Theses off white with touches of pink forget me nots flowers and velvet leaves hair pin set adds the sweetest touch to an up-do or a bohemian braid. The greenery is placed on golden hair pins that you can easily tuck into any hair style. Dimensions: 2" x 2" on a 2.5" hair pin. 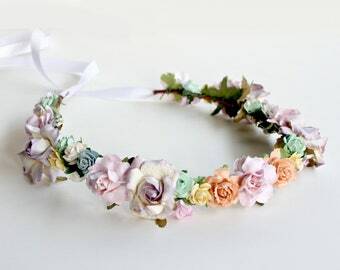 ♥ This piece is ready to ship within 1-2 business days. If you require rush delivery or need more than one please send a private convo prior to purchasing. Be sure to check out our other listings and if there is something you are looking to have custom made, please do not hesitate to ask. We would love to make something special just for you! 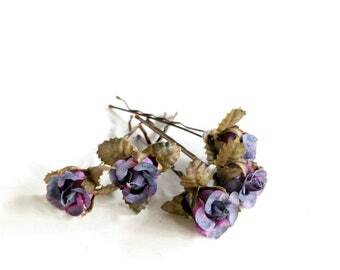 Navy Blue Rosebuds Hair Pins. 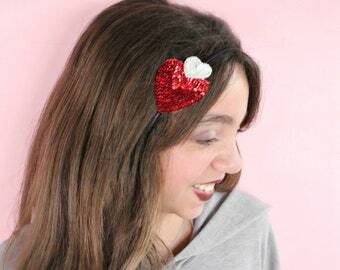 Flower Hair Clip. Bridesmaids. Rustic Wedding. Woodland. 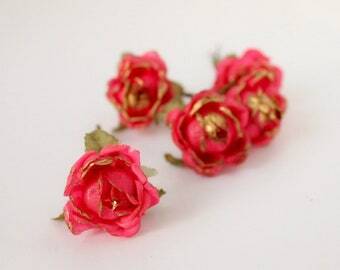 Hair Accessories, Spring, Bridal, Wedding.